Ultra-wideangle lenses are an essential piece of equipment for professional architecture and interior photographers, and can also be worth their weight in gold for those landscape photographers looking to shoot a bit wider than a regular wideangle zoom will allow. Whereas most standard zooms offer a maximum wideangle setting of around 24mm, ultra-wideangle lenses go as wide as 11-16mm. Unlike fisheye lenses, which typically provide a focal length of around 10-15mm, ultra-wideangle zooms are rectilinear in design, which is to say they present vertical and horizontal lines as straight rather than curved. That is not to say that they are distortion-free, but they do capture images in a way that appears ‘natural’ to the human eye. Cheaper ultra-wideangle zooms tend to offer a maximum aperture of around f/4.5, with more expensive ones typically offering f/4 or even f/2.8. Because many ultra-wideangle zooms use a convex front element it’s not uncommon for them to come with a fixed lens hood. Because of the engineering feats required, ultra-wideangle zooms tend to be quite large and bulky, especially those designed for use with full-frame cameras. While Canon, Nikon and Sony all offer a wide range of options, it’s always worth exploring what’s on offer from third-party lens manufacturers. 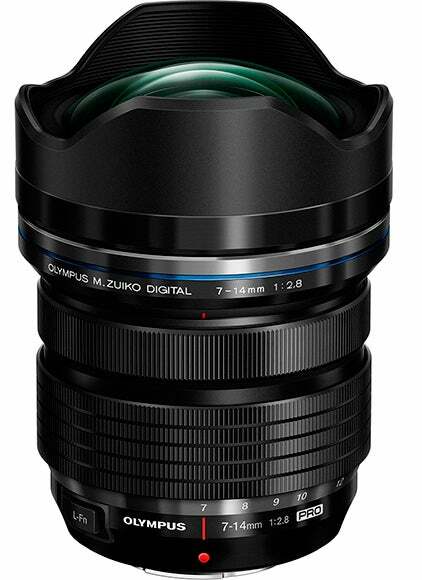 The Olympus M.Zuiko Digital ED 7-14mm f/2.8 PRO is a premium wideangle zoom for Micro Four Thirds (MFT) cameras. For those looking to maintain a fast f/2.8 maximum aperture for all their lenses, the Olympus 7-14mm can be paired with the Olympus 12-40mm f/2.8 and 40-150mm f/2.8 to cover the 35mm equivalent of 14-300mm. Its main rivals are the highly regarded Panasonic Lumix G Vario 7-14mm f/4 ASPH, which is around £750, and the diminutive Olympus M.Zuiko Digital ED 9-18mm f/4-5.6, for around £360. Equivalent to 14-28mm on a full-frame camera, the Olympus 7-14mm has 14 elements in 11 groups. This includes two aspheric extra-low dispersion ED glass elements and a dual-sided aspheric element to reduce distortion and peripheral aberrations. In addition three super ED glass elements, one ED glass element, and two high refractive index glass elements are also used in order to minimise chromatic aberration. The outer optic has a special coating to minimise flare and ghosting. is splashproof. The zoom and focus rings turn smoothly and offer precise control. Since Panasonic MFT cameras employ in-camera image stabilisation, the 7-14mm lens is not itself stabilised. Autofocus is accurate, lightning fast, and virtually silent. The barrel hosts an L-Fn button, whose function can be customised from the camera body. In terms of image quality, the Olympus 7-14mm delivers an impressively sharp centre at 7mm, although as is typical with wideangle zooms the corners and edges are visibly softer. Extending it to 14mm though, produces much more even sharpness across the whole frame. Overall the Olympus 7-14mm performs very well. It’s solidly built, handles well and is impressively compact for its specification. Edge and corner sharpness does suffer somewhat at maximum wideangle – especially when it’s used wide open – however, this is a common trait in wideangle zooms. The Sigma 12-24mm f/4-5.6 II is designed for use with full-frame sensors, where it produces an angle of view equal to 122° at 12mm and 84.1° at 24mm. Its main first-party rivals within the ultra-wideangle segment are the much more expensive Nikon 12-24mm f/2.8 (£1,315) and Canon 11-24mm f/4 (£2,800). Sony, meanwhile, offers the DT 11-16mm f/4.5-5.6 (£480) for Sony APS-C cameras using the Sony A-mount. Build quality impresses, with the 12-24mm combining polycarbonate lens barrels with an aluminium lens hood that is permanently fixed to the front barrel in order to protect the front element and reduce flare. The zoom ring is positioned at the back of the lens, with the manual focus ring located at the front. Both are given a ridged rubber finish to provide extra grip, while an AF/MF switch is in the mid-point of the lens. The Sigma 12-24mm uses an internal focusing system and while the front element does move as you rotate the focus ring, the overall length of the lens remains constant thanks to the fixed lens hood. 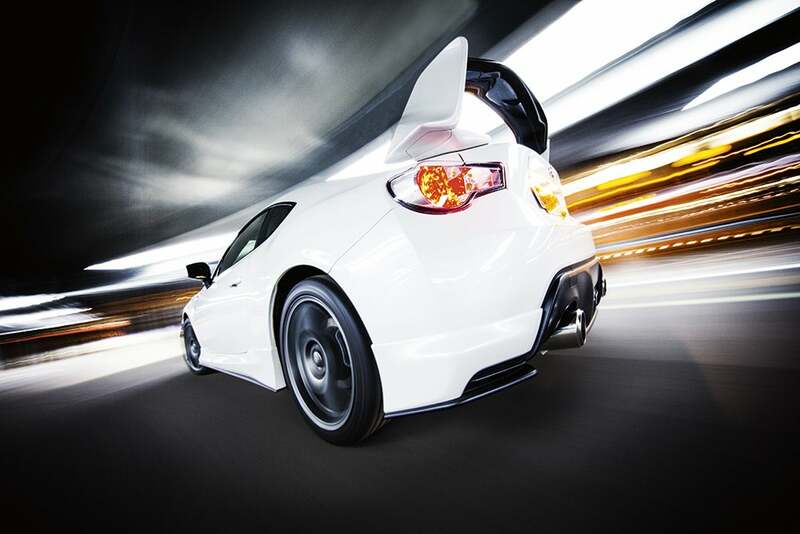 Focusing is handled via Sigma’s Hypersonic Motor (HSM) technology which proves both speedy and quiet in operation. The lens has 17 elements in 13 groups, which includes four FLD glass elements and one SLD (Special Low Dispersion) element. The lens also has Sigma’s Super Multi-Layer coating to minimise flare and ghosting. Image quality is very good, and while a degree of barrel distortion at 12mm is visible this is common to all lenses of this type. Sharpness in the centre of the frame remains constant throughout the zoom’s range. 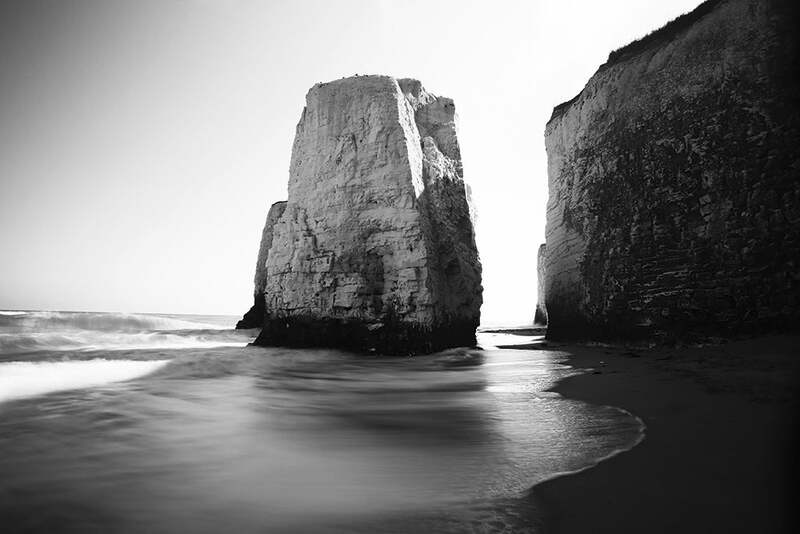 Corners are softest at both ends of the focal range with the best results occurring between 15mm and 17mm. Stopping down to f/8 improves things slightly. 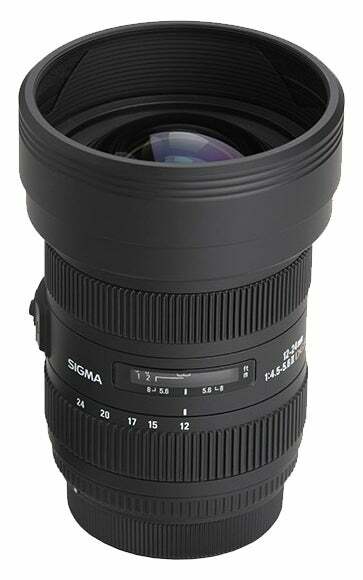 The Sigma 12-24mm f/4.5-5.6 II DG HSM delivers excellent results at a highly competitive price. While some might bemoan the lack of a constant f/4 aperture throughout its range, this does seem rather churlish, as most photographers will be using ultra-wide lenses like this to photograph architecture or interiors rather than fast-moving action. 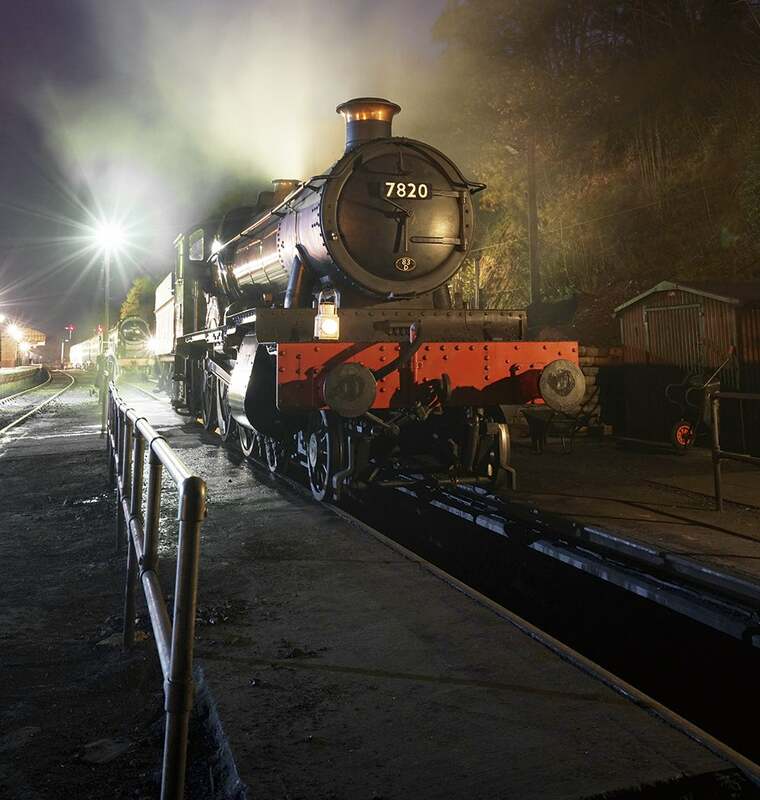 In all other respects, the Sigma 12-24mm zoom delivers impressive results. While the full-frame Sony A7, A7R and A7S are excellent cameras, concern was initially expressed about how well wideangle lenses might work on them. They use the same Sony E-mount as used by Sony’s APS-C range of CSCs and the concern was that the corner softness and distortion caused by the very short flange-focus distance would be amplified by the A7’s larger sensor. 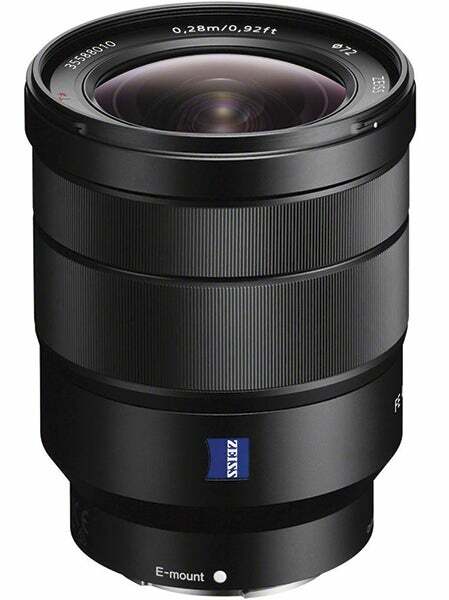 Sony’s answer: to launch the Carl Zeiss Vario-Tessar FE 16-35mm f/4 ZA OSS. The lens is made of 12 elements in 10 groups. This includes five aspherical types, including the front ‘advanced aspherical’ lens, as Sony calls it. These help to reduce curvilinear distortions and aid edge sharpness, while three extra-low dispersion elements help to prevent chromatic aberrations. It uses Zeiss’s T* multi-coating to reduce flare and internal reflections, which helps improve colour and contrast. Build quality is excellent, with the lens having an all-metal finish which includes raised metal ridges on the zoom and focus rings to aid control. Both rings offer just the right amount of resistance and turn smoothly. In terms of sharpness, the 16-45mm proves to be the equal of Sony’s excellent 24-70mm f/4 optic. While edge sharpness does drop slightly at its 35mm setting, centre resolution remains excellent. What is most impressive, however, is lens performance when used wide open. At f/4 the lens produces impressive images and while stopping down to f/5.6 gives images a bit more bite, stopping down to f/8 makes virtually no difference. While sharpness impresses the 16-35mm does produce some coloured fringing on high-contrast borders. 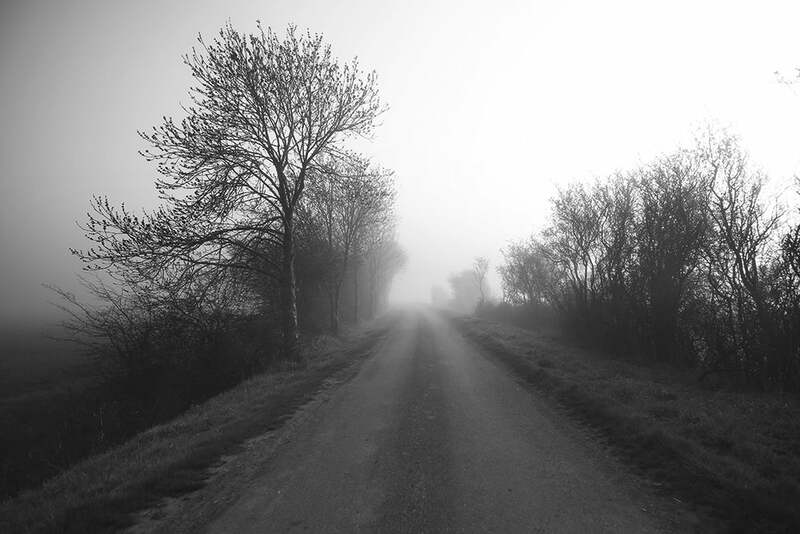 This is most noticeable towards the edges of the image when shooting at f/4 at the 16mm setting. Stopping down to f/8 greatly reduces this, though. Given that the Sony FE system is still in its infancy, the 16-35mm f/4 is the only real option for Sony users in need of an ultra-wideangle zoom. While it is possible to use pro-grade Sony A-mount lenses via an adapter, in reality the 16-35mm matches them for sharpness. And while the corners do see a drop in resolution, this affects virtually all lenses of this type and size. 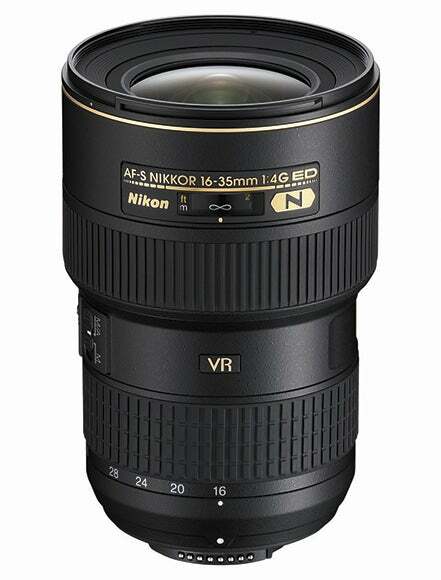 Released in 2010, the 16-35mm f/4 carried the distinction of being the world’s first ultra-wide zoom to feature Nikon’s proprietary Vibration Reduction (VR) image stabilisation technology. Nikon claims this offers up to four extra stops of shutter speed over what would normally be considered ‘safe’. Designed primarily for use with FX full-frame cameras, the main alternatives include the older Nikon 17-35mm f/2.8D (£980) and the Nikon 14-24mm f/2.8G (£1,315). While both of those are slightly faster, neither comes with built-in VR. Nikon also offers two DX-specific wideangle zooms: the AF-S DX 10-24mm f/3.5-4.5G ED (£640) and AF-S DX 12-24mm f/4G IF-ED (£840). While the lens barrels are constructed from polycarbonate the 16-35mm nonetheless feels solid and well built. The lens is split into two parts, with the thinner back section hosting the zoom ring plus the VR and AF/MF switches, while the front barrel is wider and hosts the manual focus ring. Both rings are covered in ridged rubber for extra grip and are easy to reach. The lens has 17 elements in 12 groups, which includes two ED glass elements and three aspherical elements along with Nikon’s Nano Crystal coating which cuts down on ghosting and flare. Focusing is internal, which means the lens does not extend or contract when zoomed or manually focused. The silent wave motor is quiet too. Optical quality really impresses. There is no chromatic aberration visible at 16mm, and at 24mm and 35mm it’s all but insignificant in practice. Similarly, the zoom’s MTF curves are tightly grouped and never dip below the critical 0.25 cycles-per-pixel threshold. At 16mm there is some obvious barrel distortion, while at 35mm there is slight pincushioning. to its critical resolution. If you need a faster aperture, there’s Nikon’s 17-35mm f/2.8 and 12-24mm f/2.8, but neither has built-in stabilisation. For the price, the 16-35mm f/4 is still the standout optic in Nikon’s ultra-wideangle zoom line-up. 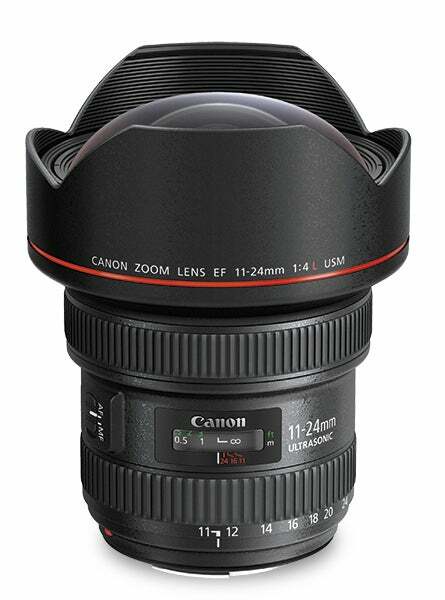 Released in the spring of 2015, the Canon EF 11-24mm f/4L USM holds the distinction of being the world’s widest rectilinear zoom lens. Obviously, at nearly £3,000 it doesn’t come cheap, however for those with deep pockets or for those who make a living from architectural or interior photography, it is just about the best ultra-wideangle zoom lens money can buy. Those on a tighter budget might want to look instead at the Canon EF 17-40mm f/4 L USM (£500). In addition, Canon also offers two 16-35mm options for those who don’t require the extra width offered by the 11-24mm f/4: the excellent Canon EF 16-35mm f/4L IS USM (£650) that comes with built-in image stabilisation technology, and the professional-grade Canon EF 16-35mm f/2.8L II USM (£1,065) that doesn’t. Providing an angle of view that equates to 126° at 11mm, the Canon 11-24mm is constructed of 16 elements in 11 groups. This includes four aspherical elements to tackle distortion, plus ultra-low dispersion (UD) and super ultra-low dispersion elements. The lens also employs three different types of lens coating to guard against aberrations, ghosting and flare. Canon’s Ultrasonic Motor (USM) technology is also on hand to quietly drive the autofocus system, with a full-time manual-focus override also present that allows you to adjust focus manually while in AF mode without having to flick the AF/MF switch. As might be expected of a Canon L-series lens, build quality is first class. Lens barrels are constructed from metal, with the bulbous front element further protected by a polycarbonate lens hood that’s fixed in place. While it’s impossible to attach filters directly to the front of the lens, Lee Filters has recently released an adapter ring for the Canon 11-24mm that can be used in combination with its SW150 Mark II filter system. Given the size of the front element and the ultra-wide angle of view you can expect some vignetting however. Image quality from the Canon 11-24mm is truly remarkable. It’s at its sharpest when used at 16mm at around f/8-f/11. While the fall-off from centre to edge sharpness is most notable when the lens is used at 11mm, the MTF curves produced by the Canon 11-24mm remain very impressive overall. At 16mm there is virtually no barrel or pincushion distortion either. Used at 11mm there is, inevitably, some barrel distortion although it’s not as severe as you might expect. Likewise, at 24mm some pincushion distortion is evident, although this is easy enough to fix by applying the appropriate lens profile correction using DxO or Adobe software. 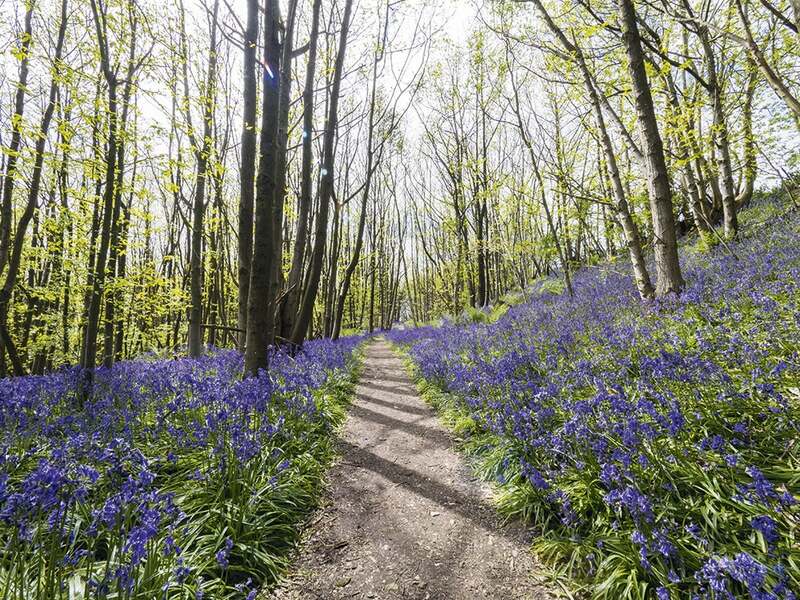 Used wide open, vignetting is subtle at 11mm and can be removed altogether by stopping down to f/8. Some fringing does occur on high-contrast borders, but is generally well controlled. The Canon 11-24mm f/4L USM is undoubtedly one of Canon’s finest L-series lens to date, and one of the finest – if not the finest – rectilinear wideangle zooms ever made. While its high price does put it out of reach for all but the most well-heeled enthusiasts, for professional architectural or interior photographers it’s the best that money can buy, offering exceptional optical performance and tank-like build quality.